Cause Rooted came to us with a special concept that we could passionately get behind. Their mission is to help cause-driven companies increase sales, while giving their customers a meaningful shopping experience. The Cause Rooted marketplace will sell ethically-sourced and artisan products. 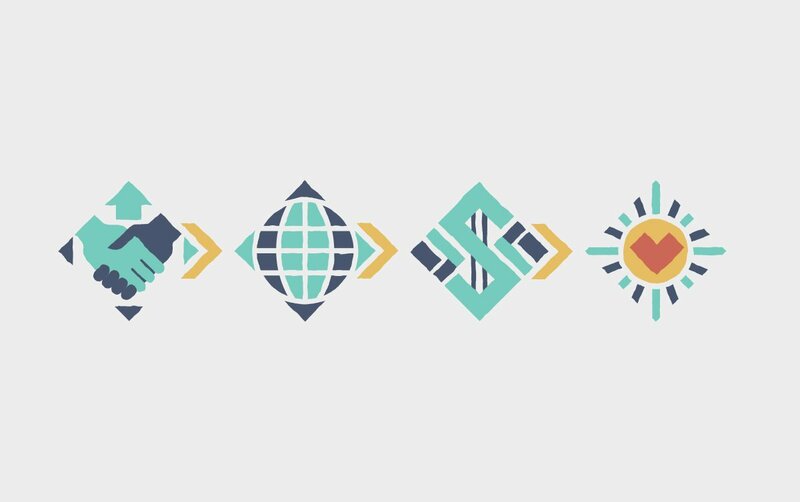 We created a logo to represent the core of their name sake—strongly rooted by the global causes they and their business partners are passionate about supporting. 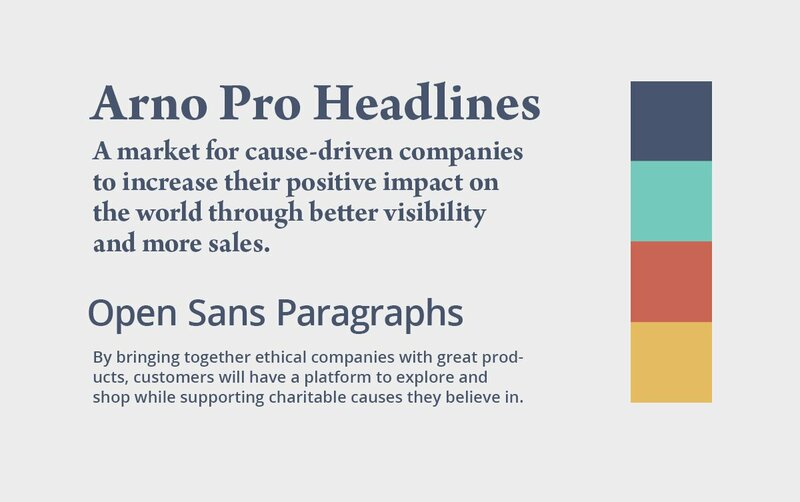 Arno Pro was chosen for its warmth and readability, building trust with potential business partners and customers. While it’s inspired by the past—consistent with the artisan products that will be sold on the site—it is appropriately contemporary for their future-focused mission. To help tell the story, we developed a graphic style for illustrations that help explain their process. The icons are simple enough to read quickly but the rough edges and colors are help carry the cultural tones of the industry they serve. 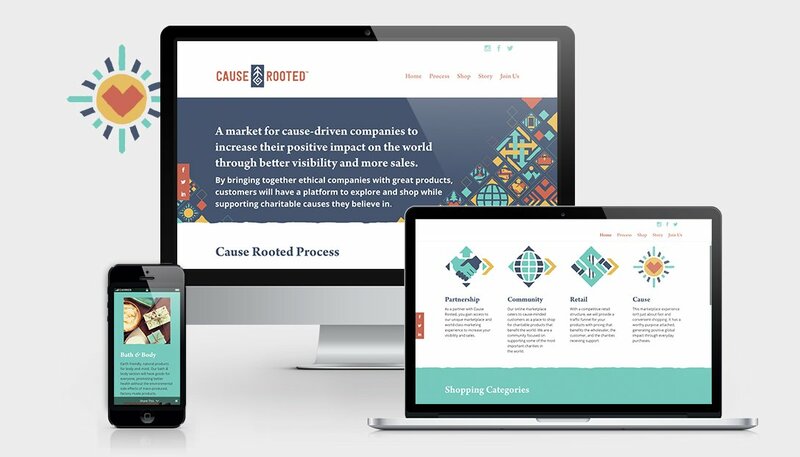 Phase 1 of the website was designed and developed to help Cause Rooted earn contracts with companies while building a list of customer emails. The simple one-page site tells their story and establishes them as a respectable resource for potential partners. The full ecommerce website will soon be in development.